Celebrate Easter with a Wine – or Two! 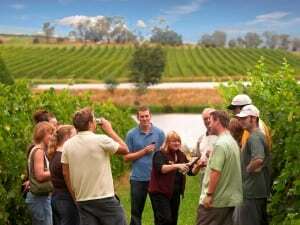 - Australian Wine Tour Co.
Home>Blog>Uncategorized>Celebrate Easter with a Wine – or Two! Easter is a time for indulgence, where the wine stores are plentiful and there’s chocolate as far as the eye can see. This may sound a little far fetched, but when you embark on a tour across Victoria’s wine region, your dream of lazy days sipping on wine and savouring creamy chocolate is well within reach. 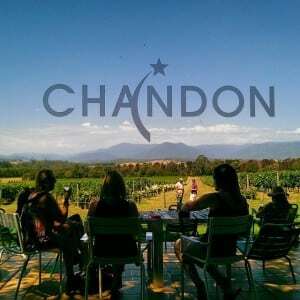 To make the most of your well-earned long weekend, why not kick-back with a relaxing tour of the picturesque Yarra Valley? With all of your travel details taken care of, Easter is the perfect time to send the kids to their grandparents, or round up a group of family and friends who would love to taste their way across Victoria’s highly acclaimed wine region with you. Explore the distinct flavours of Yering Farm, Balgownie Estate, and Punt Road Wines on this epic full day adventure. Traipse across a region that has devoted itself to fine dining and cool-climate wines, where you’ll enjoy an à la carte lunch at Balgownie Estate, while enjoying a glass of the estate’s premium wine. You’ll also be able to soak up the heritage and breathtaking views at Yering Farm, before toasting a day well spent with a glass of Australia’s best bubbly at Domaine Chandon – what’s not to love! With so much to explore in the Yarra Valley, and a full four day weekend to make the most of, why limit yourself to just one day? At Australian Wine Tour Co. we offer an exclusive two day winery escape that includes an overnight stay at the renowned Balgownie Estate resort and Spa. Here, you’ll be able to make the most of the hotel’s indoor pool, steam room, dry sauna, restaurant and much more! Your tour will also come complete with a guided wine tour, and cellar door tastings at Punt Road Wines, Balgownie Estate, and Yering Farm, as well as a buffet breakfast at Rae’s restaurant on day two. Affectionately dubbed the ‘family and friends’ tour, our premium Yarra Valley tour will combine all of the fun of an Easter get together, minus the clean up. You can customise your tour to include renowned wineries, such as Oakridge Estate, DeBortoli and Domain Chandon, as well as must-see family-friendly attractions, like Healesville Sanctuary, Yarra Valley Chocolaterie (the perfect Easter treat for all of the chocolate lovers out there), or Yarra Valley Dairy, where you can immerse yourself in artisan food and wine and some of the best handcrafted cheese the state has to offer. Exploring the best of Daylesford, as well as the diverse towns and native Australian landscape that makes up the Grampians National Park, Western Victoria has a lot to offer. While we’re lovers of everything the Yarra Valley represents, there’s no denying the charm and distinct wine and cuisine that is locally-grown and produced in Victoria’s west. Two days of gourmet food, mouth-watering wines, and visually alluring landscapes await in this exclusive weekend getaway. How could you say no to an experience that will delight your tastebuds, all while you soak up the natural beauty of Vitoria’s idyllic wine regions? With seats selling out fast, make sure you secure your place on one of our leading gastronomical and scenic tours for your Easter break today!